Tony Blair enraged Corbyn supporters today, after he declared Labour had become a “different” party since Mr Corbyn took office in 2015. He told BBC’s Nick Robinson on his Political Thinking podcast that the ongoing anti-Semitism row within the Labour Party, saying the situation was “ghastly” and a “matter of great sadness”. But later on Saturday, speaking in Leicestershire on Saturday, Mr Corbyn said of Mr Blair’s comments: “I’ve been in the Labour Party all my life. I am a socialist. I am determined to see a fairer and more equal society. “I think Tony needs to recognise that party membership is now much bigger than it has ever been – it’s the biggest it has been in my lifetime, well over half a million members. “Sadly, we didn’t win it but we got the highest vote for Labour since 2001. Tony Blair won three general elections during his term as Prime Minister. But when quizzed on whether he should listen to Mr Blair’s advice to step down, Mr Corbyn hit back saying: “I’ve fought one election as leader of the party and we had the biggest swing to Labour during that campaign since 1945. Speaking to Robinson earlier in the day, Mr Blair said: “I’ve been a member of the Labour Party for over 40 years. “I can’t imagine that we have had three to four months debating over something where we have profoundly insulted the Jewish community in our country. The anti-Semitism scandal has rocked the labour Party since Mr Corbyn became leader in 2015. 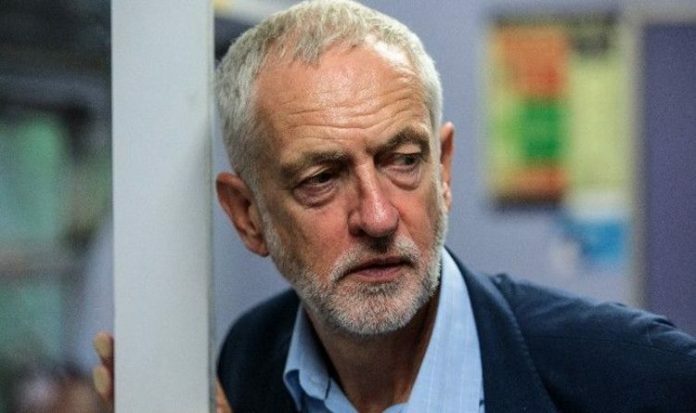 Following various incidents, and his refusal to accept the International Holocaust Remembrance Alliance’s definition of anti-Semitism, the Labour leader published a video in which he said he was committed to tackling racism. However, Jewish leaders criticised the video and said his comments were “not enough”.